Always one step ahead in signaling technology’s seismic shifts, Alex Winter has built up a body of work that documents how innovation changes the way people live their daily lives. DOWNLOADED explored the downloading revolution and how Napster and file-sharing took on the music industry, leaving musicians wondering about royalty payments and copyrights. DEEP WEB revealed a new kind of internet: decentralized, encrypted and dangerous; with particular focus on the FBI capture of the Tor hidden service Silk Road, and the judicial aftermath. 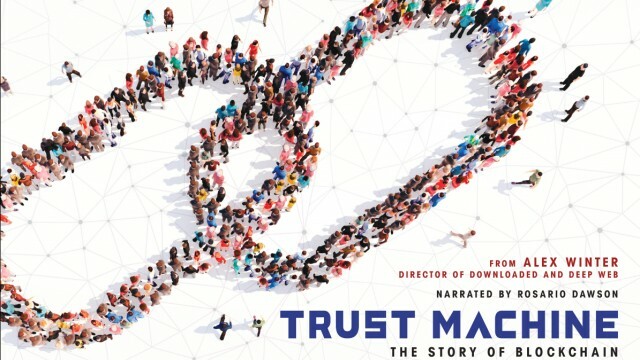 In his newest documentary TRUST MACHINE: THE STORY OF BLOCKCHAIN, narrated by Rosario Dawson, Alex Winter drills down on blockchain, the decentralized technology that supports cryptocurrencies. Why are banks terrified while UNICEF Ventures embraces it to help refugee children? Winter follows tech innovators striking a raw nerve as banks and network pundits rush to condemn volatile cryptocurrencies and blockchain technology. British hacktivist Lauri Love fights extradition—his computer skills perceived a threat to the US government. Through the film, Winter reveals that the proponents of the blockchain—a verified digital ledger—are already using the technology to change the world; fighting income inequality, the refugee crisis and world hunger. Director Alex Winter joins us for a conversation on a technology that has the potential to uplift and / or wreak havoc on human civilization and why we should care. This entry was posted in documentary, Film Festival, Film School interview, foreign, Sundance by admin. Bookmark the permalink.